All special offers will be withdrawn unless; driving lessons are taken regularly i.e. there should not be a gap of more than two weeks between Lesson(s) unless agreed in writing by Us. If a gap between lessons of more than two weeks occurs we reserve the right to charge you the full price for any hour(s) of tuition not used and/or withdraw any free hour(s) of tuition under the Special Offer. The special offers are applicable to new customers only. A customer is entitled to only one special offer. These offers are not available to pupils who have already taken a lesson with a Belfast City Driving School driving instructor, or those who have booked a practical driving test before commencement of lessons with The Belfast City Driving School. Special offers are non-refundable. Our special offers cannot be taken by anyone who has a driving licence from a foreign country. Made up of 6 hours of tuition, taken in 3 x 2hour sessions. The remaining 4 hours are held until the week of your practical driving test and will only be honoured if you take regular lessons with not more than a gap of two weeks between them. The 10@£99 Offer is only applicable to customers who are beginner drivers having less than three hours driving experience. The remaining four hours of the 10@£99 Offer must be used during the two week period before your practical driving test date. Standard lesson rates apply to any other lessons taken throughout your driving course. Made up of 4 hours of tuition taken in 2 x 2hour sessions. The remaining 3 hours are held until the week of your practical driving test and will only be honoured if you take regular lessons with not more than a gap of two weeks between them. 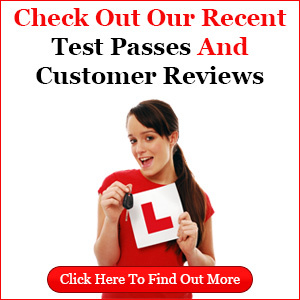 Standard driving lesson rates apply to any other lessons taken throughout your driving course.